Digital organs are offered at different price ranges and a wide range of build and sound quality. The challenge for consumers is to compare different products and choose the best value. Remove the backs and look inside digital organs to make comparisons. Many include limited tone generation resources, electronic assemblies not enclosed in protective cages, audio systems not capable of producing high-fidelity sound, and console construction more typical of knockdown furniture. Un-doctored photographs are an objective method for comparing the quality of construction. 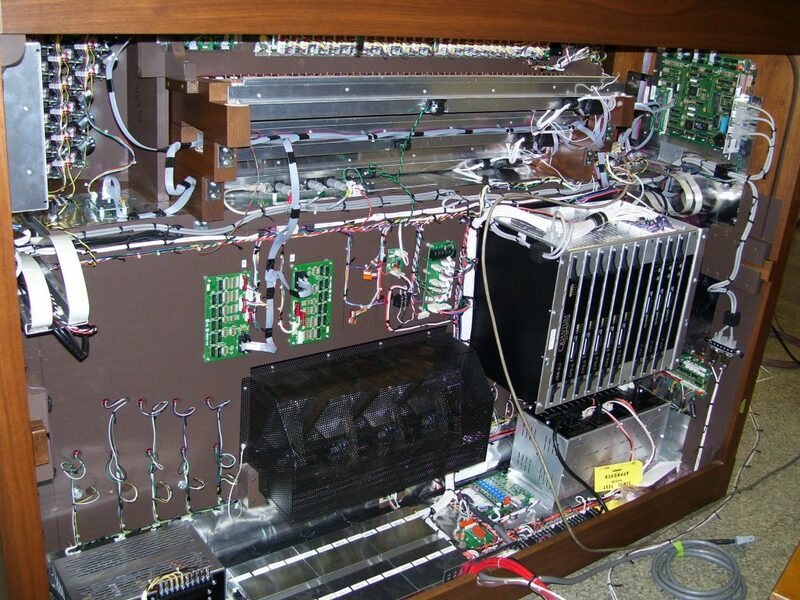 The pictures below show the insides of digital organs manufactured in Italy and a similar ssize Allen Organ. Organ construction quality is an indication of the manufacturer’s philosophy towards organ building, customers, and product support. The photos DEFINITELY do not lie here! 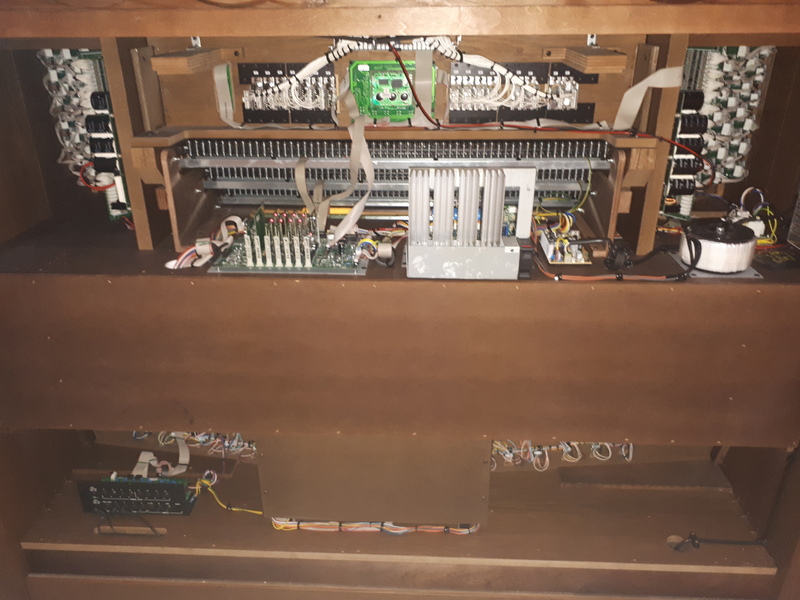 The Vivace 90 is DEFINITELY built cheap,…you can see the particle board showing,cheap consumer grade electronics unprotected and mounted DIRECTLY to the wood! Unico 500 not much different. Sound quality most likely very poor. Rodgers and Johannus not much different in construction quality,either. Same “knock down” low cost furniture type construction that ,…if you’re lucky,…MIGHT last ten years. European organ construction leaves a HECK of a lot to be desired. Allen is your best,..and only,…choice if you want long term quality and value.